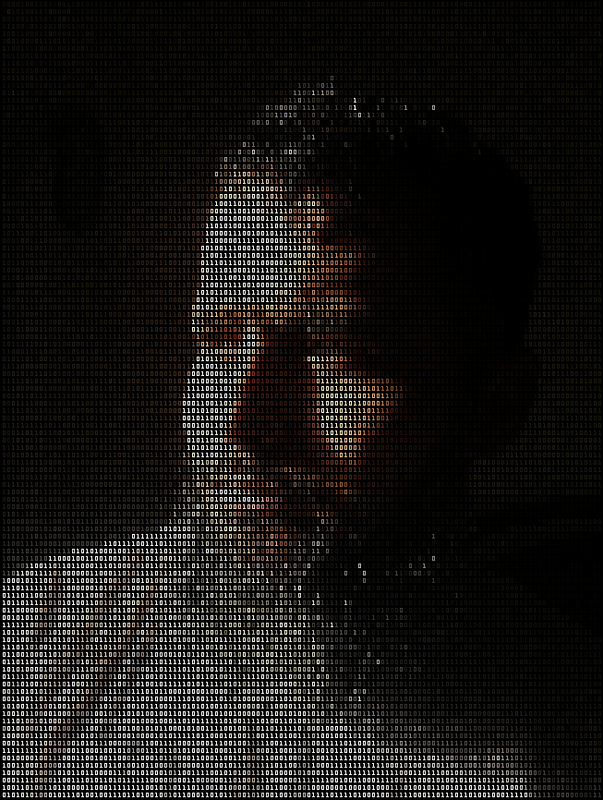 February | 2016 | Syed Jahanzaib Personal Blog to Share Knowledge ! We are using Mikrotik Routerboard in lab environment, and have total 384kbps of internet bandwidth from the ISP. 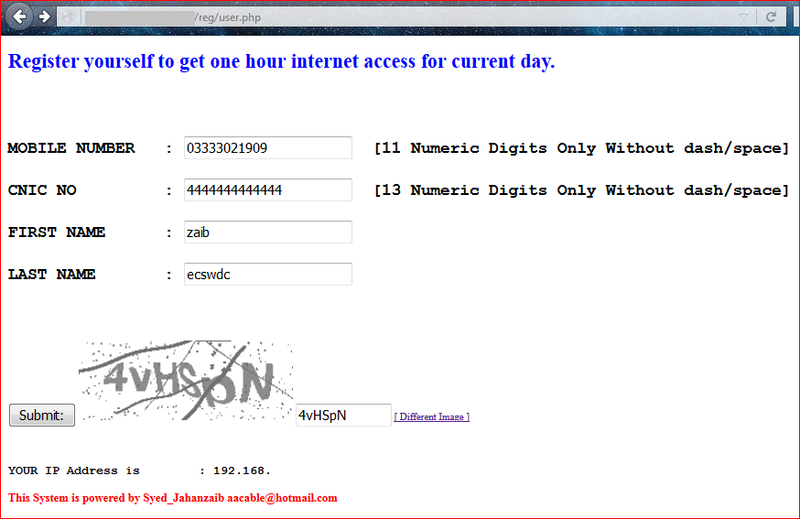 We want to distribute bandwidth as follows. Create per user queue in parent groups for per user distribution for marked packets. For this guide, I am using my local pc’s for demonstration purposes. but you can use groups as showed above. 4- Create per user (or group) queue in parent groups for per user distribution for marked packets. This post requires lot of time to explain things or add other items as well. will do it later. In our data center, we are using IBM Xseries 3650 M4 series. 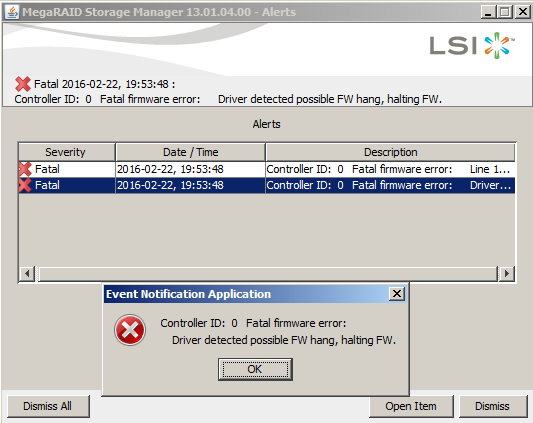 We updated one of the systemX server firmware and drivers a month ago. since then it was having issue of halting in random days specially in heavy load conditions (like when backup executes) and was presenting following errors on the screen. Raid controller details were as followed. After some diagnostic it was found that the culprit was driver version “6.702.07.00“. As stated in IBM web site. After that, we downloaded IBM Update Express ver 9.63 (ibm_utl_uxspi_9.63_winsrvr_32-64.exe) and execute the update for selected drivers on live running system that was hosting our lotus domino email system. It took around 1 hour for the download + update and upon rebooting, and till the writing of this post, the problem seems to be solved now. 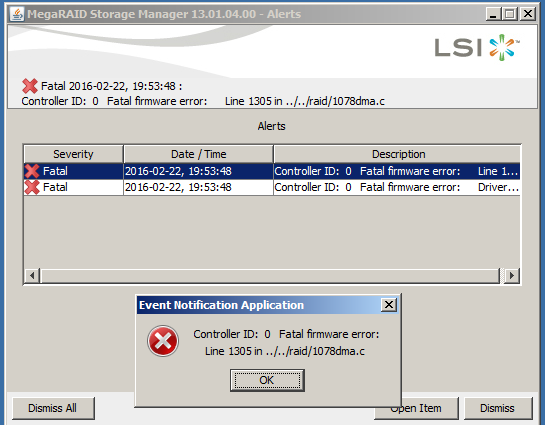 Note: I would recommend to NOT upgrade any critical system firmware until is really required. [for example can be used in FREE WiFi environment, exhibition, conference rooms, resorts etc]. It is also useful if you want to provide trial/free internet access but want to log all the required info , like mobile numbers, contacts, and there usage with control. Upon submissions, PHP form will execute Linux bash script with the supplied data, and then it should perform various checks , example. User must enter no less or more then 11 numeric digits in MOBILE field. User must enter no less or more then 13 numeric digits in CNIC field. 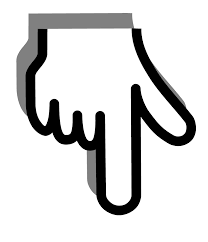 User must enter correct CAPTCHA image code in order to submit the form. It is required in order to prevent BRUTE force attack using automated scripting. If the user is registering for the first time, his account will be registered with specific service (the service must be added by admin, and its name is configurable in reg.sh script file. 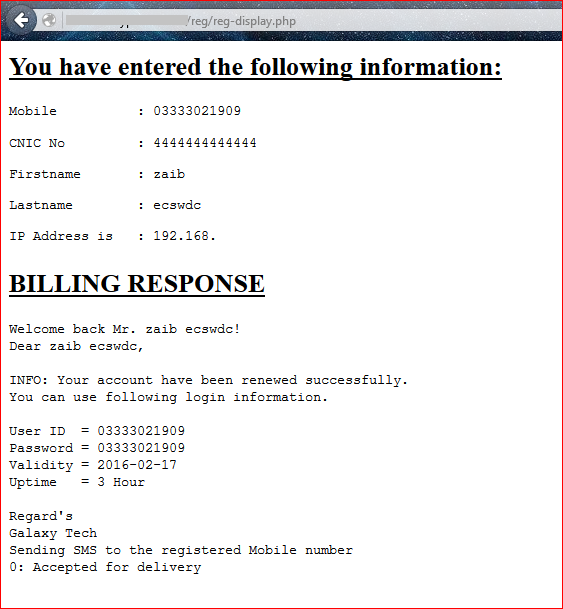 The system will send SMS (and print screen , you can configure it as per the requirements) to user mobile number supplied in the form with the login , validity and other information. 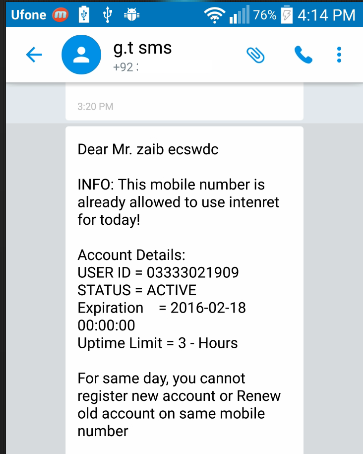 If the user consumed 3 hours within the same date and try to register again, he will be denied with the information message that he have already registered with the same mobile and account status will be provided like still ACTIVE or EXPIRED and that he should try again next day (date). If the user still have balance and account is active, he should be informed accordingly. 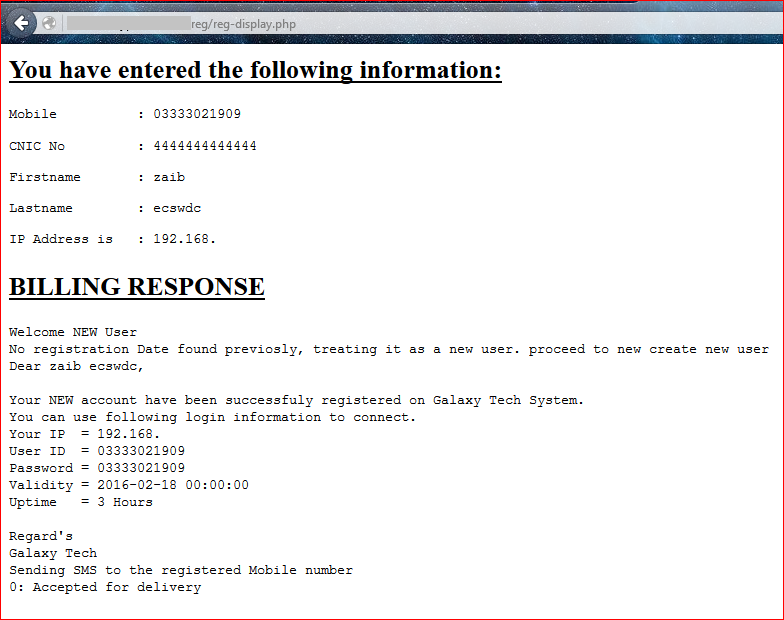 If the user have expired (dueto DATE OR UPTIME hours limit) and next date arrived, he can register again, and INFO SMS message (and print screen , you can configure it as per the requirements) will be sent to use informing that his previously registered account got renewed with the login , validity and other information. echo "Welcome back Mr. $FIRSTNAME $LASTNAME!" echo "No registration Date found previosly, treating it as a new user. proceed to new create new user"
'', '', '', '', 1, 1, 'English' );"
mysql -u$SQLUSER -p$SQLPASS -e "use radius; INSERT INTO radcheck (UserName, Attribute, op, Value) VALUES ('$MOBILE', 'Cleartext-Password', ':=', '$MOBILE');"
mysql -u$SQLUSER -p$SQLPASS -e "use radius; INSERT INTO radcheck (UserName, Attribute, op, Value) VALUES ('$MOBILE', 'Simultaneous-Use', ':=', '1');"
mysql -u$SQLUSER -p$SQLPASS -e "use radius; INSERT INTO rm_syslog (datetime, ip, name, eventid, data1) VALUES (NOW(), '$IP', 'ROBOT', '0', '$MOBILE');"
#mysql -uroot -p$SQLPASS -e "use radius; INSERT INTO tempuser (mobile, firstname, lastname, cnic, rendate) VALUES ('zaib888mobile', 'testfirst', 'testlast', '234567890', '$CURDATE $TIME');"
Your NEW account have been successfuly registered on $COMPANY System. You can use following login information to connect. 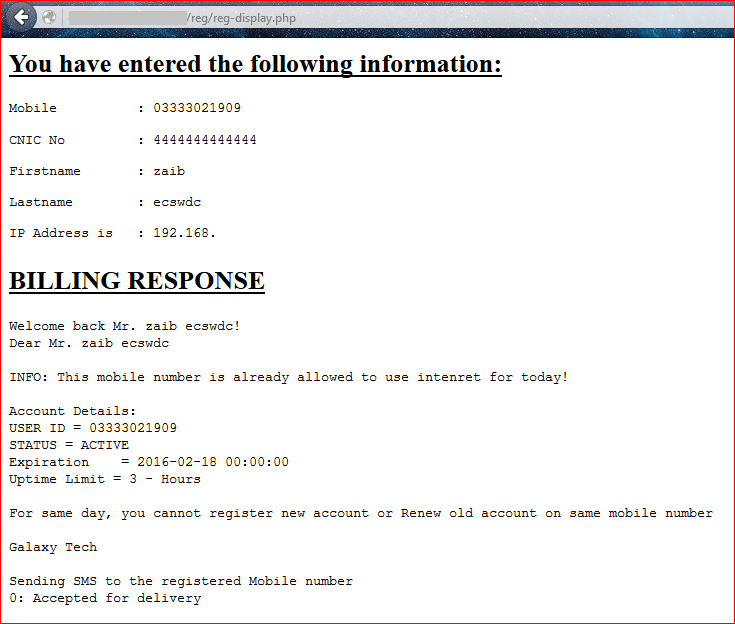 echo "Sending SMS to the registered Mobile number"
INFO: This mobile number is already allowed to use intenret for today! mysql -uroot -p$SQLPASS --skip-column-names  -e "use radius; UPDATE rm_users SET downlimit = '0', uplimit = '0', comblimit = '0', expiration = '$NEXTEXPIRYADD', uptimelimit = '$FUPTIME', warningsent = 0 WHERE username = '$MOBILE';"
INFO: Your account have been renewed successfully. 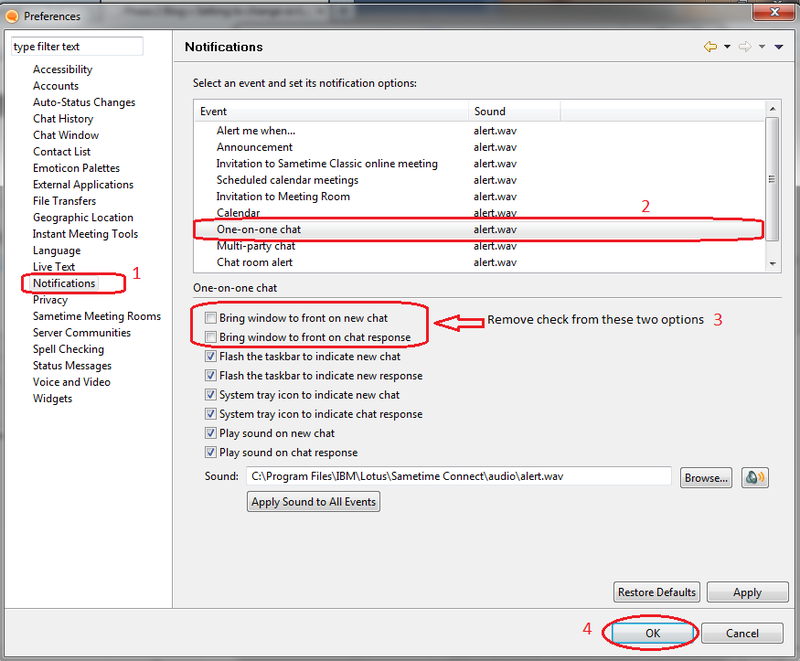 You can use following login information. 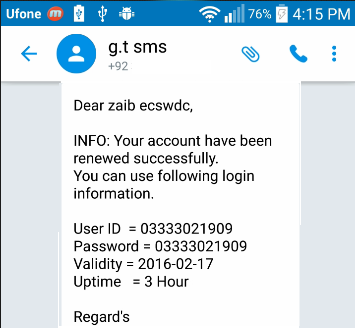 4- Allow renewal for the OLD users if there account status is EXPIRED and registration date is not same. 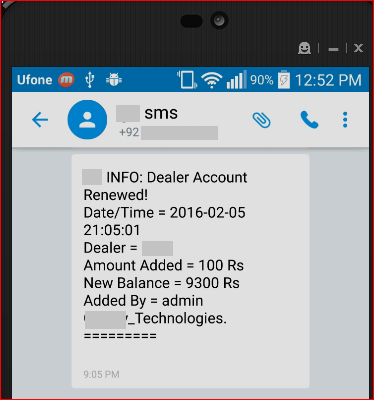 Following script is used to send SMS and Email alert to reseller and admin about the renewal or deposit in RE-SELLER account in radius manager. Note: Few other related guides. Following script is schedule to run after every 5 minutes , if it found any reseller account renewal, it will send SMS to admin and reseller plus email to admin as well , just for record purposes. 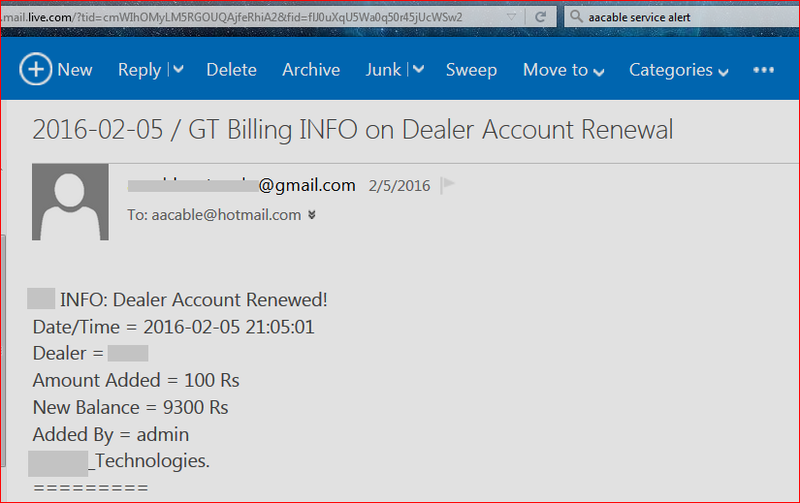 # Admin Email on which dealer renewal mail will be sent"
echo  "INFO: No RESELLER account have been updated in last $MNT minutes ! $COMPANY"
#logger "INFO: No RESELLER account have been updated in last $MNT minutes ! 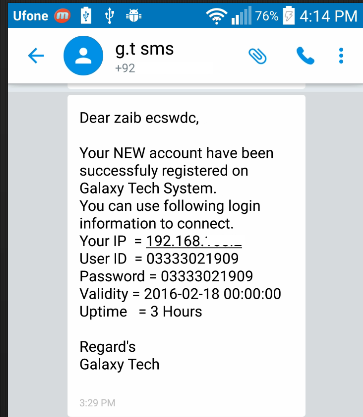 $COMPANY"
echo "Galaxy Info: Dealer Account Renewed.